For Sale in Helensburgh for Offers Over £70,000. 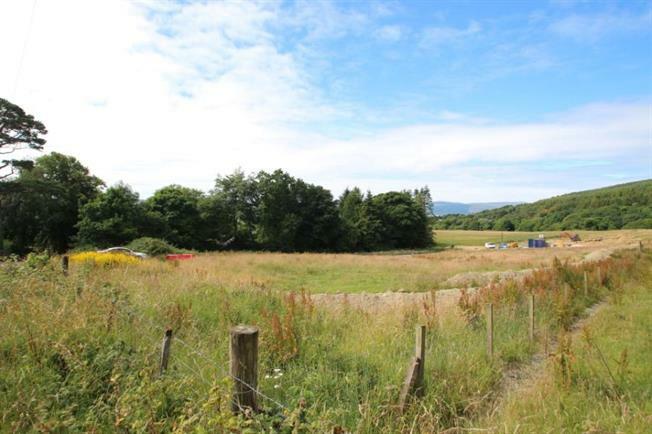 Forming part of the idyllic hamlet of Portkil a generous land plot extending to around 0.5 acres with lovely views to the surrounding countryside. Outline planning consent has been granted for the erection of a substantial detached villa. The plot will be part of a small intimate development of nine individually built detached family homes and is located on the eastern fringes of Kilcreggan. Services have been provided to the boundaries of the site and a drainage / sewerage outfall has been created, with a disconnecting manhole located on the lower part of this desirable and particularly generous site. The picturesque village of Kilcreggan is located within a mile of Portkil and provides a reputable primary school, health centre, passenger ferry service to Gourock (with onward train services to Glasgow), local inn, general store, butcher shop, coffee shop, hotel and regular bus services. The neighbouring village of Rosneath offers a further range of amenities including two boat yards (offering on-land boat storage facilities). Commuters to Glasgow are able to join the west coast main-line at Garelochhead (some 8 miles away) which connects Oban with Glasgow and provides a sleeper service to London.